Since the surface-enhanced Raman scattering (SERS) observed in 1974, 40 years past, SERS spectroscopy are applied in several fields of chemistry, physics, biology, energy source and so on. However, the mechanism of SERS is not entirely clear. 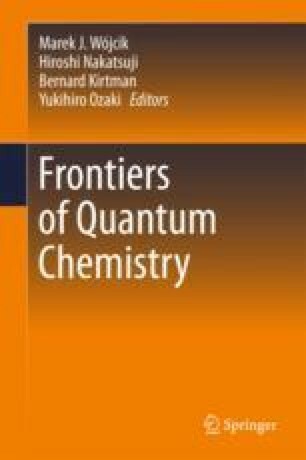 Density functional theory (DFT) calculations could give information at the molecular level and have been applied in the studies of electrochemical interfaces. In this paper, by combining DFT calculations and Raman scattering theory, we presented some results about SERS spectra of interfacial water and pyridine adsorbed on metal surfaces, including electrochemical adsorption, chemical reactions and photo-driven charge transfer processes. All these information helps us reveal the physical and chemical nature of SERS signals for studied molecules in complex electrochemical interfaces. National Natural Science Foundation of China (21533006, 21321062, and 21373712), National Key Basic Research Program of China (No. 2015CB932303), and Funds of State Key Laboratory of Physical Chemistry of Solid Surfaces.